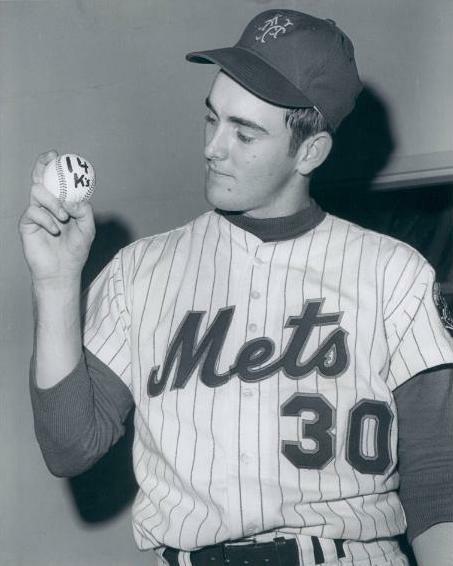 Tuesday May 14th 1968: The Mets young fireball pitcher Nolan Ryan would have his biggest strike out total so far just eight games into his career. The 14 strike out performance would also be a Mets franchise record up to that point. It was an exciting time up to that pint as Jerry Koosman & Tom Seaver were also just starting out their brilliant careers for the Mets. Gil Hodges Mets (13-16) hosted Dave Bristol's Cincinnati Reds (14-16) in front of 15,671 fans on a cool night at Shea Stadium. Nolan Ryan began the game by striking out Pete Rose & then Alex Johnson. In the 2nd, he struck out Johnny Bench who was in his his Rookie of the Year season. In the 4th & 6th innings Ryan struck out two batters each time. In those innings he also allowed solo HRs to Tony Perez & Lee May. Ryan may have saved his best for last, as his fastball seem to blaze more in the final two innings. In the 8th after a lead off base hit to Rose, he struck out the side. He then struck out May & Bench to start out the 9th inning, before getting Tommy Helms to line out to end the game, earning the win. 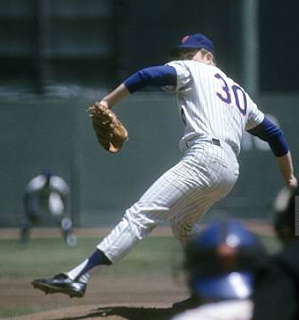 Ryan went 6-9 with a 3.09 ERA for the 1968 Mets, he struck out 133 batters in 134 innings of work but also walked 75 batters. His 14 Ks on this day was his season high, as he would have four double digit strike out games on the year. The Mets scoring all took place in the 3rd inning, off Milt Pappas. Ryan began the rally with a single, Bud Harrelson followed with a single as well. 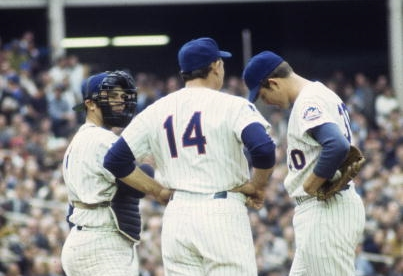 With two outs, Art Shamsky tripled in both runners & Ron Swoboda added an RBI base hit of his own, giving Ryan all he needed in the 3-2 win. Trivia: Reds pitcher Milt Papas was traded to the Red from the Baltimore Orioles for Hall of Famer, Frank Robinson, who would contribute to the mighty Oriole teams of the late sixties & early seventies. Papas had won 15 or more games four time for the O's, but just once after landing in Cincy. 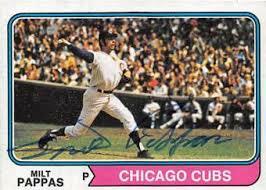 He moved on the Chicago Cubs where he no hit the Padres in 1972, nearly pitching a perfect game.